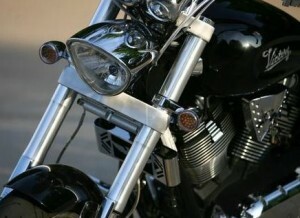 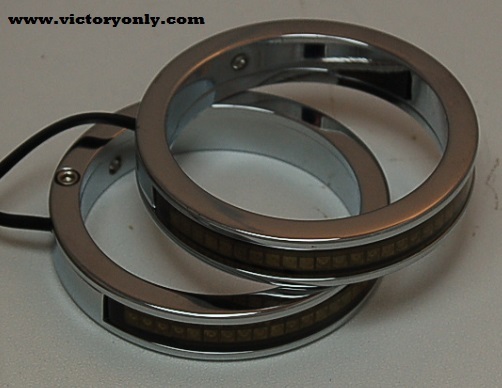 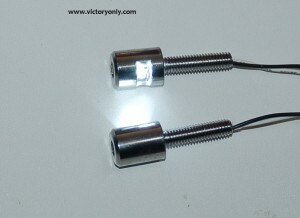 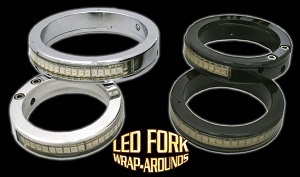 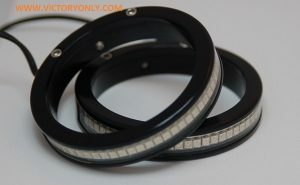 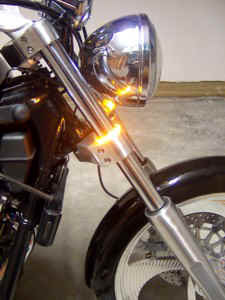 Clean up the front of your bike with these sleek new one of a kind billet LED fork wrap around Signal Lights. 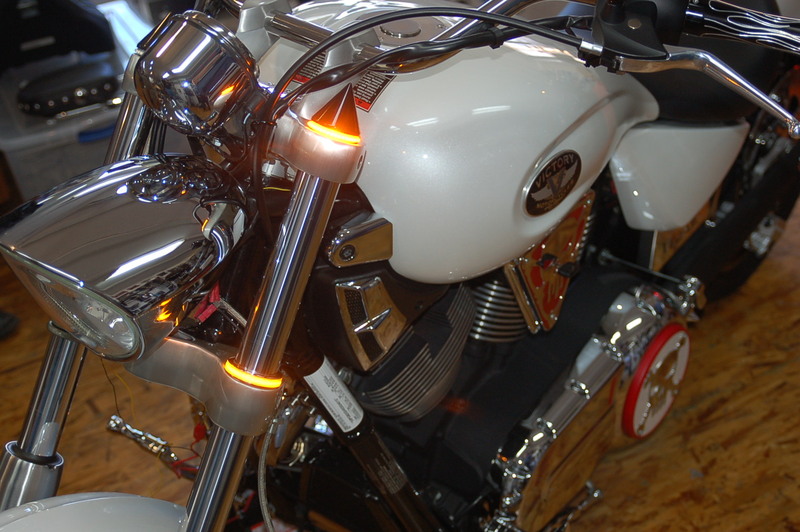 Each unit contains 30 high quality super bright amber LEDs that are integrated into a super sleek billet CNC aluminum fork wrap, that provides excellent visibility with its wrap-around coverage. 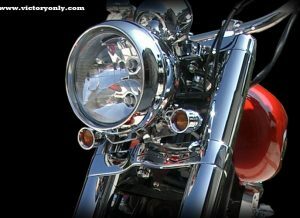 These LEDs have a 120 degree viewing angle for maximum visibility and come with a lifetime warranty against LED failure. Better Viewing angles for better Safety. 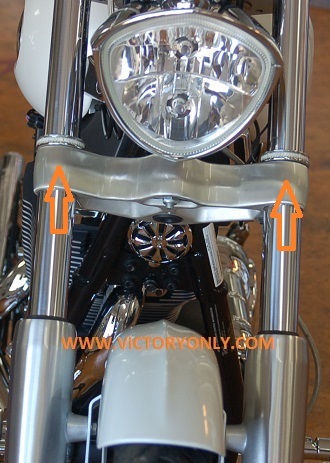 Standard signals point forward only. 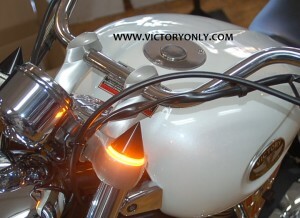 Wrap around Signals can bee seen from the side when turning 90 degrees! 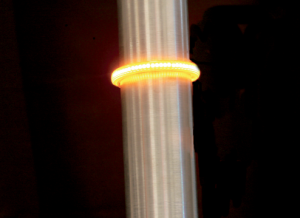 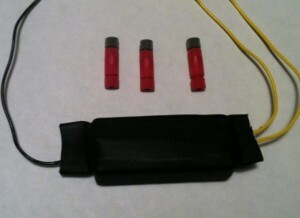 The purchase of a load equalizer, sold separately, is required to maintain the stock flash rate and use of the four-way flashers.